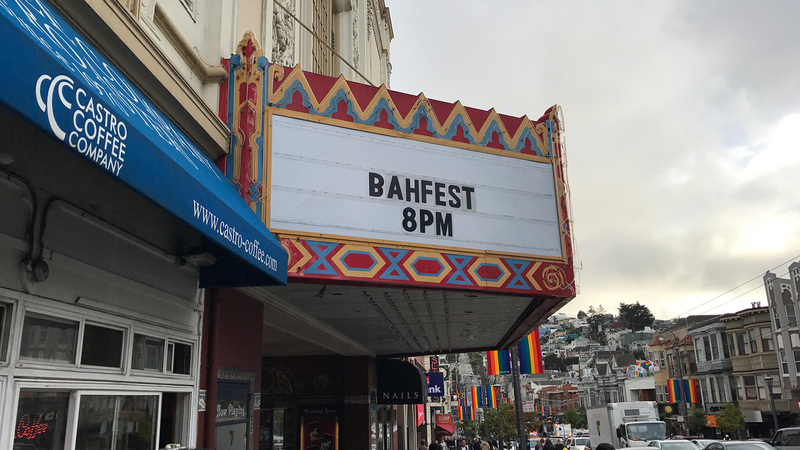 I’m posting this to let you know we’ll be skipping BAHFest West for 2018, and I wanted to explain why. There’s a tl;dr at the bottom who think it’s tl and wish to dr.
First, to be totally clear – this decision has nothing to do with the show itself. In fact, thanks to Kishore Hari, it’s long been one of our best-run shows, and it’s always been our best-attended show. We’ve always been able to attract nerd celebrities, thanks to the showing being in San Francisco during the Bay Area Science Festival. AND, there’s a really good cookie shop just down the street from the venue. So, why aren’t we bringing it back for 2018? The basic deal is that we’re exhausted. For those of you who don’t keep up with my personal life, during the last 4 years, my wife and I have created two humans, written several books, done about 10 BAHFests, drawn (in my case) about 1300 comics, and written (in Kelly’s case) a bunch of fancy science papers. In general, we pushed ourselves to our utter limits. After pushing it much too hard late last year, we decided we needed to find a few places to cut back. With regret, we’ve decided to skip BAH West this year, in order to get our lives a bit more normal. I know some of you will immediately offer to help chip in labor to make the show come back, however that’s not necessary. In fact, BAH West gets an enormous amount of help. The hard parts for us are the things internal to the show. Many people don’t realize that each speaker receives a lot of personal hands-on training, both in performance and in joke writing. The process of finding those people and then working to get them BAHFest quality is very time consuming. And, now that I’m a dad, time is at an all-time premium. This isn’t goodbye, geeks of the Bay Area. This is us taking a break, hopefully so that we can come back better than ever. Tl;dr: Come on, man. It’s 5 paragraphs – just read it.